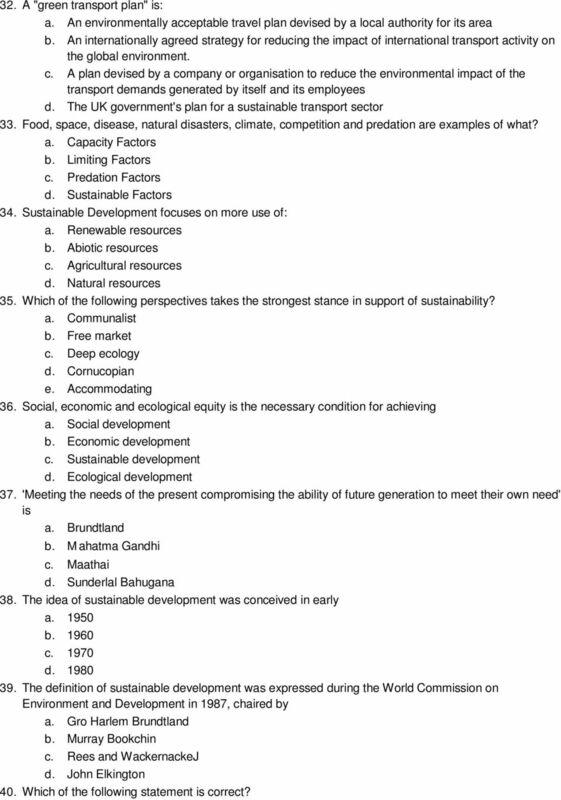 Download "MCQs Managing for Sustainability"
5 32. A "green transport plan" is: a. An environmentally acceptable travel plan devised by a local authority for its area b. An internationally agreed strategy for reducing the impact of international transport activity on the global environment. c. A plan devised by a company or organisation to reduce the environmental impact of the transport demands generated by itself and its employees d. The UK government's plan for a sustainable transport sector 33. Food, space, disease, natural disasters, climate, competition and predation are examples of what? a. 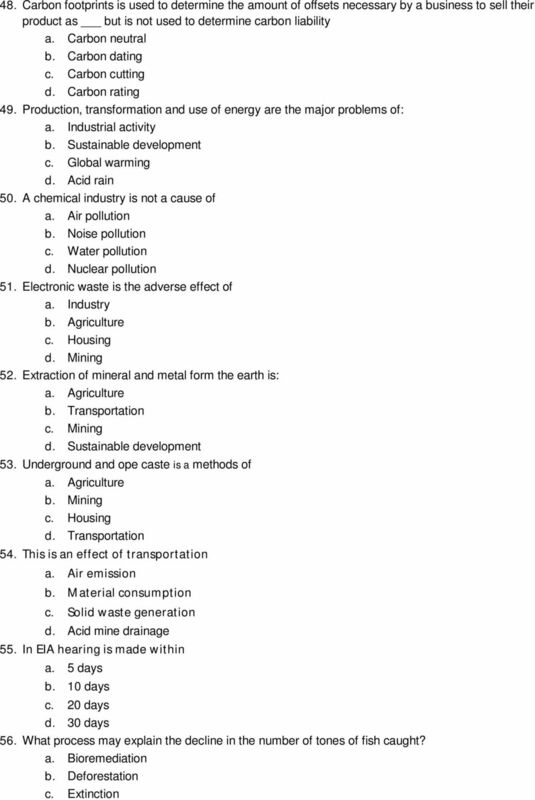 Capacity Factors b. Limiting Factors c. Predation Factors d. Sustainable Factors 34. Sustainable Development focuses on more use of: a. Renewable resources b. Abiotic resources c. Agricultural resources d. Natural resources 35. 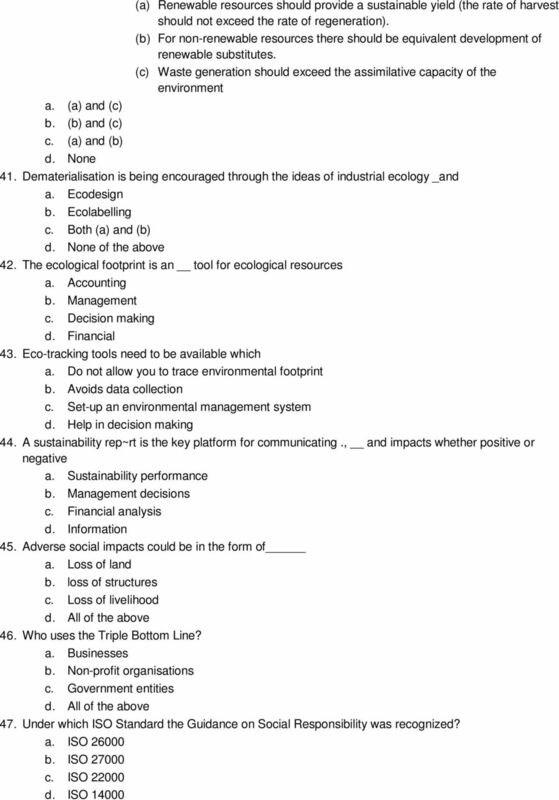 Which of the following perspectives takes the strongest stance in support of sustainability? a. Communalist b. 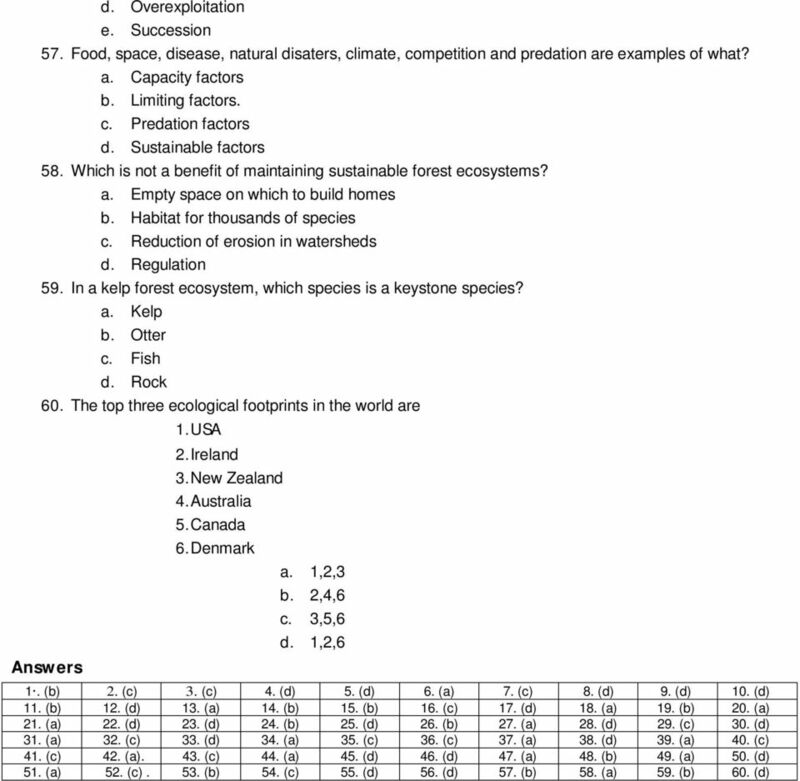 Free market c. Deep ecology d. Cornucopian e. Accommodating 36. Social, economic and ecological equity is the necessary condition for achieving a. 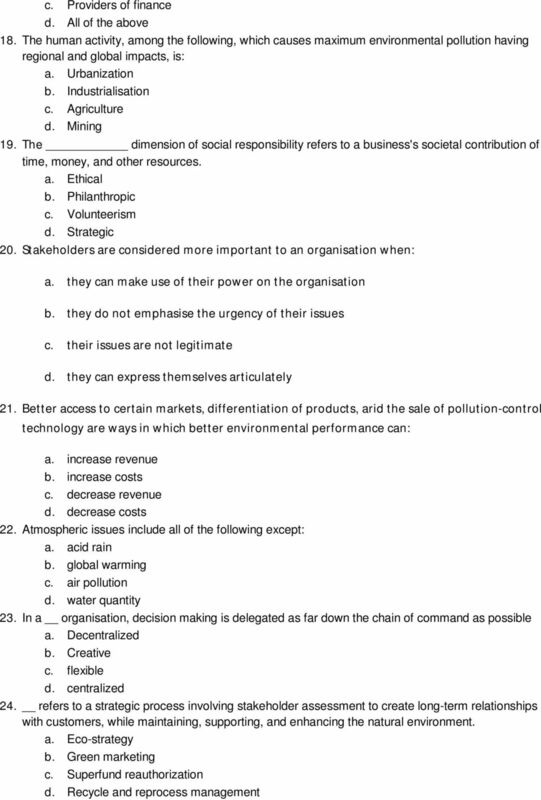 Social development b. Economic development c. Sustainable development d. Ecological development 37. 'Meeting the needs of the present compromising the ability of future generation to meet their own need' is a. Brundtland b. Mahatma Gandhi c. Maathai d. Sunderlal Bahugana 38. 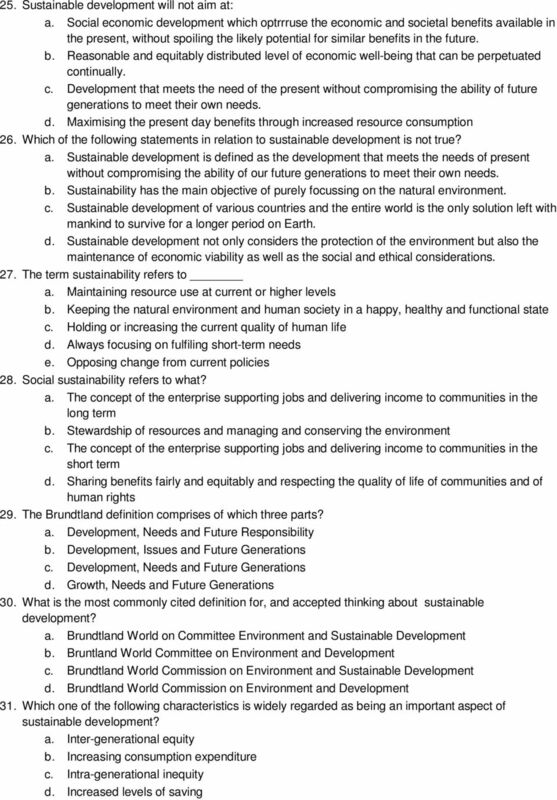 The idea of sustainable development was conceived in early a b c d The definition of sustainable development was expressed during the World Commission on Environment and Development in 1987, chaired by a. Gro Harlem Brundtland b. Murray Bookchin c. Rees and WackernackeJ d. John Elkington 40. Which of the following statement is correct? 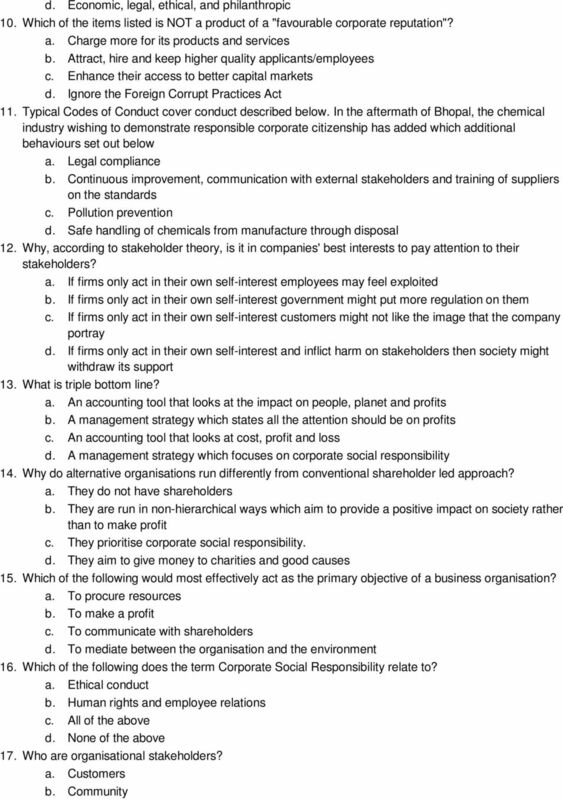 Preparing an Environmental Policy Compiled by Keith Snook May 2009 1/5 Background An environmental policy is an agreed documented statement of a business's stance towards the environment in which it operates. Holmris CSR Policy. Holmris is preparing attendance to UN s Global Compact but has already translated UN s Global Compact policies into practice.